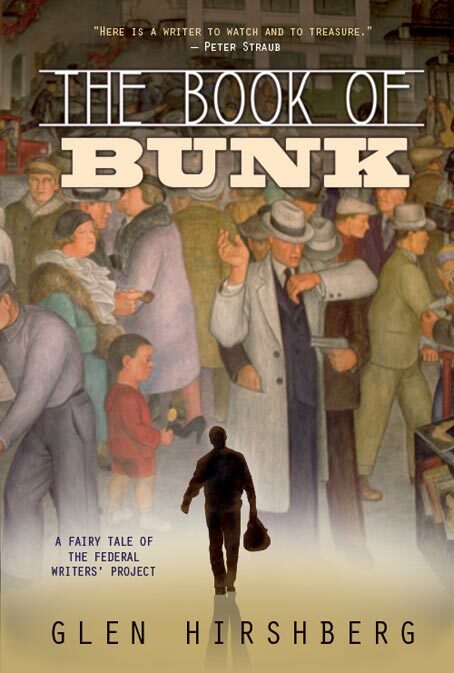 Glen Hirshberg‘s new novel, The Book of Bunk: A Fairy Tale of the Federal Writers’ Project (Earthling, 2010), has been hailed by Lucius Shepard as "a miracle of narrative diversity and drive...It's as if Woody Guthrie and Gabriel Garcia Marquez had co-authored a 90,000-word folk song." 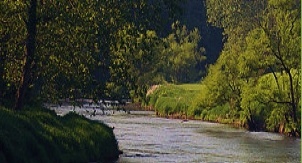 Glen’s previous novel, The Snowman's Children, received rave reviews from The Washington Post, Kirkus Reviews, and many others. Each of his acclaimed story collections, American Morons and The Two Sams, received the International Horror Guild Award and was selected by Locus as a best book of the year. He won the 2008 Shirley Jackson Award for his novella, The Janus Tree. The Los Angeles Times calls him "the author of stories that are as unsettling as they are scary, as disturbing as they are profound...Literary, chilling, the next big thing", and Peter Straub describes him as "A writer to watch, and to treasure." He co-founded the Rolling Darkness Revue, a traveling ghost story performance troupe, and he teaches writing at Cal State San Bernardino. Kira Sternbach is an actress active in London as well as NY and LA. Her theatre credits include In A Dark Dark House (Almeida Theatre, London) Enjoy (59E59) How I Learned to Drive (Terry Schreiber Studio) American Girls (45th St. Theatre) The Shape Of Things (Edinburgh Fringe) Gerald’s Method (Center Stage) Beef (Crowne Point Festival) Raised By Lesbians (Barrow St. Theatre) Surgery (MITF, NY) The Interstate And On (South Street Seaport ) Spoken Insects (Dixon Place) Understanding (The Theatre Project, NJ) One Night (East Coast Tour) and Pains Of Youth (Cal Rep Theatre). Her film and television credits include The Prisoner, My Normal, Three Windows, Anyone But Me, Lately, and Virgin. She is currently based in Los Angeles working on projects you can check out on her web site, www.kirasternbach.com.